SACRAMENTO, Calif. /California Newswire/ — The Assembly Appropriations Committee today approved Senate Bill 1525 authored by California State Senator Alex Padilla (D-Pacoima). The legislation known as the “Student-Athlete Bill of Rights” would require universities located in California that generate on average more than $10 million in media revenues a year to provide specific protections to college athletes. The bill now goes to the Assembly floor for consideration. “Neither personal injury nor poverty should dim the dreams of a student-athlete pursuing a college degree, particularly when their performance has enriched their college,” said Senator Padilla. “I am big fan of collegiate athletics. But I am also concerned that the vast amount of money in collegiate sports has distracted us from the primary purpose of our colleges. With billions of dollars in television revenue gained on the backs of student-athletes, it is shameful that so few student-athletes actually graduate and that many are further burdened with medical bills due to injury,” said Padilla. “This legislation is the first of its kind in the nation and promises student-athletes the important protections that should have been in place long ago. California is leading the way by establishing these standards for their universities,” said Ramogi Huma, President of the National College Players Association. “The universities impacted by this bill benefit from their share of a $3 billion media contract. A small percentage of these revenues will allow these colleges to meet the basic standards established in this bill,” added Senator Padilla. According to the NCAA, California is home to 17 Division I and II schools that have at least one sport where the graduation rate is 50 percent or lower. The U.S. Department of Education reports that in some cases the graduation rates are much lower. “Despite the NCAA’s stated mission, it currently does not require that schools pay for medical coverage or provide continued academic support for injured student-athletes. 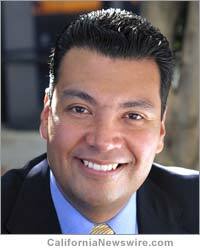 This, while many universities are receiving millions in media revenue each year,” said Senator Alex Padilla. Each year thousands of student-athletes suffer injuries while training or competing. A sixteen year study conducted by the NCAA and the Journal of Athletic Training showed that in football alone, there were 30,797 injuries from games and more than 53,298 from fall and spring practice sessions. Many of these injuries are career ending. Athletes on scholarship who suffer season or career ending injuries are often saddled with medical bills and are at risk of losing their scholarship. Presently, there is no uniform policy for student-athlete medical coverage, nor are there policies that preserve educational support for student-athletes who lose their athletic scholarships due to injury. This lack of support contributes to low graduation rates among student-athletes.